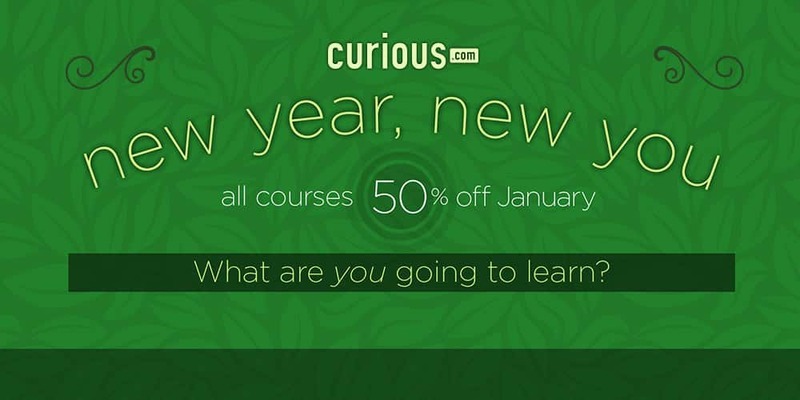 Right now (and through the remainder of the month), you can sign up for 50% off discount eCourses with Curious Courses in January! Curious Courses includes classes in crafting and (as mentioned before) DIY eCourses. If you wish to learn all about how to crochet, write code, speak Spanish or whip up a 7-course meal, then this is the perfect deal for you!